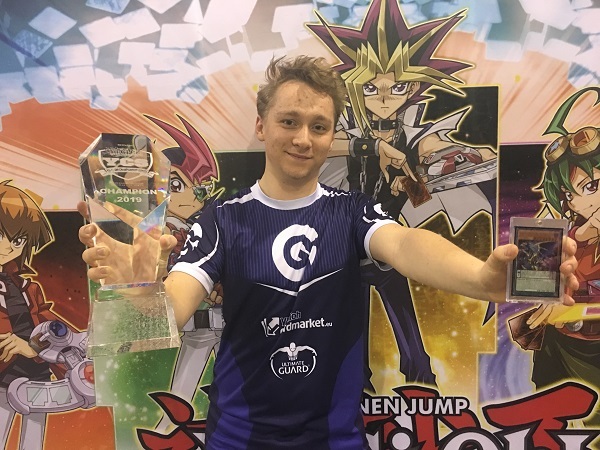 Raphael Neven from the Netherlands used his Lunalight Deck to come out on top in a field of 1566 Duelists and take home the trophy! The most recent update to the Forbidden and Limited List hit a lot of the top strategies, especially combo based Decks. Many thought that these changes, in addition to the hits Thunder Dragon received, would clear the way for Sky Striker and Altergeist to take the top spots. While Sky Striker did manage to take a massive 10 slots in the Top Cut, Thunder Dragon still prevailed as a major contender with an equal showing of 10 Duelists. The Danger! monsters from Cybernetic Horizon and Soul Fusion played a big part in Decks across the board, including Thunder Dragon, giving them added consistency with additional draws and an extra punch by Summoning tons of extra monsters to the field. The addition of Savage Strike also gave a few other strategies new life, such as Subterror and Crusadia. However, in the absence of turn one combo strategies, Decks designed to play going second and end the Duel in a single Battle Phase had a huge showing. Not only were there 10 additional Deck types in the Top 32 next to Thunder Dragon and Sky Striker, but Lunalight managed to take down the event! With the release of Legendary Duelists: Sisters of the Rose, Lunalight got a big boost and new tools to play with. Neven capitalized on the opportunity, piloting a rogue strategy that no one was prepared for, and claimed his second Yu-Gi-Oh! Championship Series title!